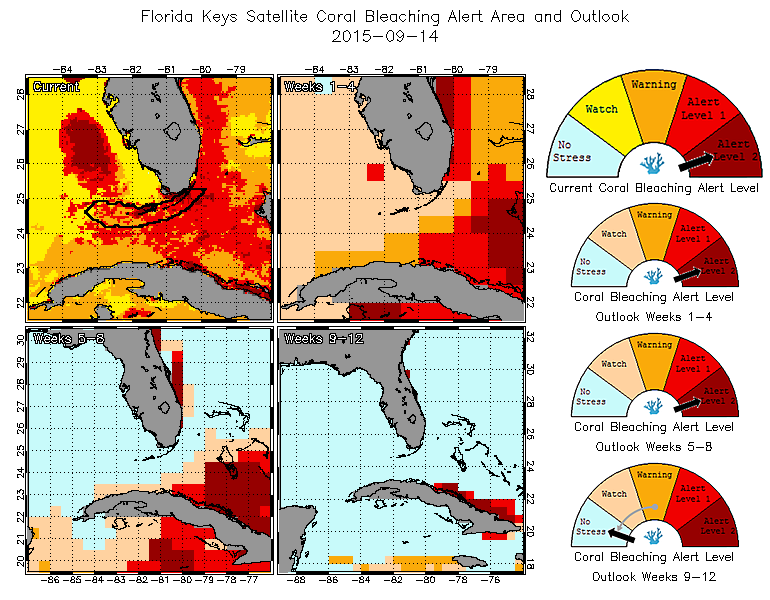 NOAA Scientists recently documented early signs of coral bleaching in the Florida Keys National Marine Sanctuary. 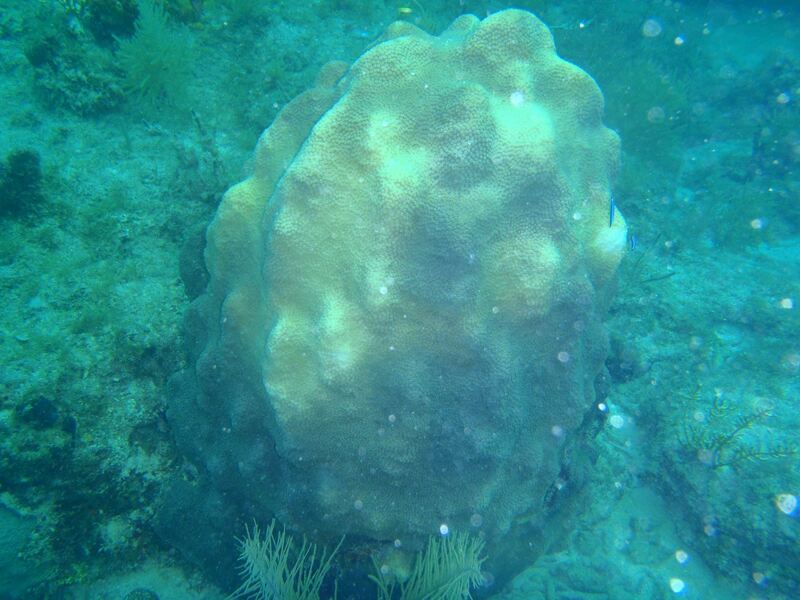 The images below were taken in late August and show mountainous star coral and pillar coral beginning to bleach in one of the sanctuary’s ecological reserves. Both species are listed as threatened under the Endangered Species Act. 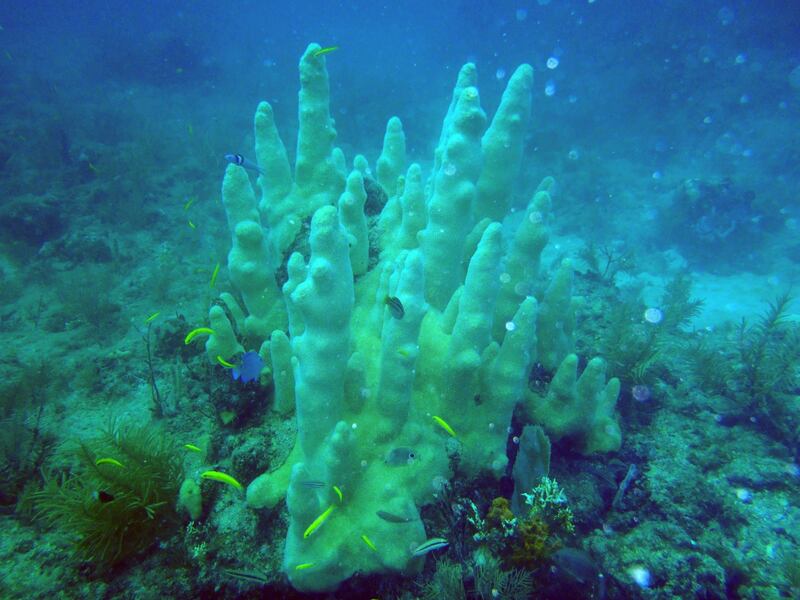 Pillar Coral, Dendrogyra cylindricus, showing early signs of bleaching. Mountainous Star Coral, Orbicella faveolata (formerly Montastraea faveolata) showing early signs of bleaching.